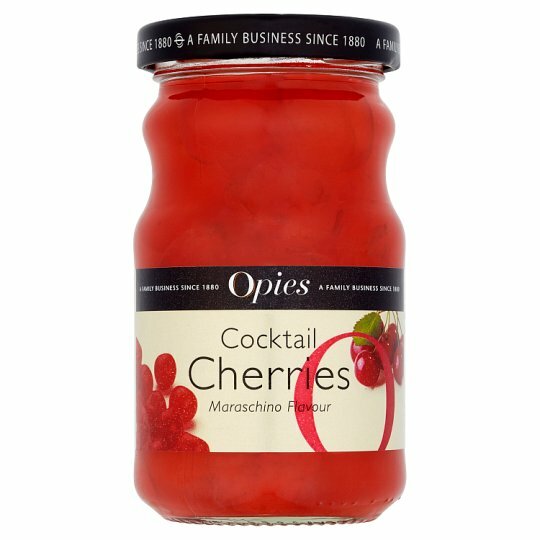 The best barman around the world choose to dress their cocktails and drinks with our classic cherries. Only the finest cherries make the grade preserved in our specially flavoured syrup. Also perfect for a quick snack or use in home baking, ideal for adding to a fruit salad, gateau or melon. Store in a cool dry place., Once opened, keep refrigerated and use within 4 weeks., Best before end: See lid. This product may contain an undetected stone.